What are your standards in terms of a coffee shop? 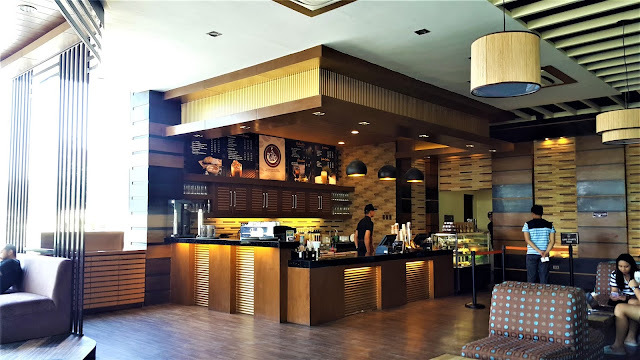 Cozy quiet place, good coffee or drinks, not so sweet desserts, friendly staff, accessible location or free wifi? 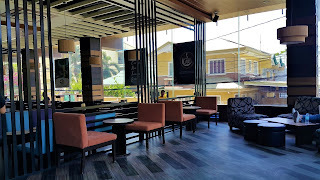 Well, what I've mentioned actually sums up the features of iCafe in Dasmarinas, Cavite. At first glance, you would think it's a coworking space since the cashier and the order area is a little unnoticeable from the outside. The cafe is located in front of the Church of God but it's not limited to their churchgoers. Yes, it's open to the public and guess what? The items here are premium but affordable. This is also a good place to do your homework, chat with your friends or do your me time. 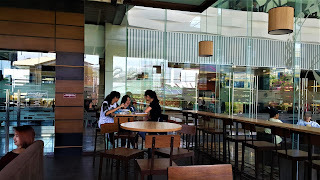 The cafe is spacious and it can accommodate numerous groups or meetings at the same time. 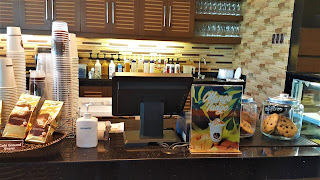 Since it is run by the church (Church of God), all the items sold goes to the church for their missions and the best part is that they also support local businesses by using local products from their coffee beans to their pastries. During our visit, we had the chance to see groups of people enjoying their free time over a cup of drinks and sharing of their food. Since it's spacious, there's still enough privacy for your small pep talks. I am also glad that there are sockets just in case you run out of batteries for your gadgets. Also, they encourage everyone to support the cafe since for every cup you drink, you help build the church. I had the chance to try some of their best sellers and I can't say no to all of them! 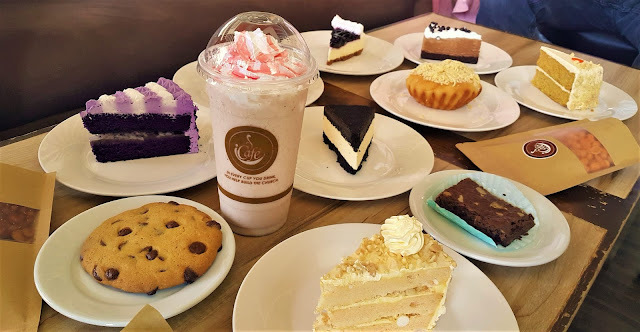 From their bread to cookies, and of course the cakes, they aren't the usual extreme sweets that you get from the popular cafes. Let me share you some of my favorites in a while! Ah, and let's not forget about their legumes! It is rich with garlic slices and has different flavors to choose from. We tried their garlic peanut at (75 pesos) each pack and Barbeque peanut at (80 pesos) per pack. 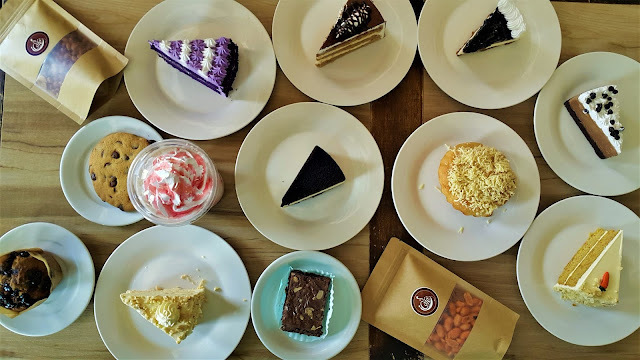 Among their items, we tried Sansrival, Choco mousse, Ube Macapuno, Blueberry Cheesecake, Banana Muffin, Oreo Cheesecake, Fudge Bar and the sausage delight. The ube macapuno got that solid macapuno flavor but not too overwhelming to beat the ube taste, for the choco mousse, it on the more solid mousse style and the frosting wasn't that sweet. One thing I love about it is that it can stand longer hours of serving time compared to the cakes that are extremely moist that it easily melts. Lastly, their Sansrival is my favorite. It contains that crunch that I look for in a Sansrival but isn't as tangy as you buy in the mall. Aside from that, it contains the bits of nuts that I always want to have in this dessert. Meanwhile, you'd also like to try their chocolate cookie, carrot cake, and mocha cake too! The chocolate cookie is moist so you know that it has been baked freshly. The carrot cake (well as most people know that I don't eat carrots) but still tried it just so I won't be curious about how it tastes. You won't actually feel that you are eating carrot at all. The taste is just a little close to the mocha cake with a little lesser coffee flavor. 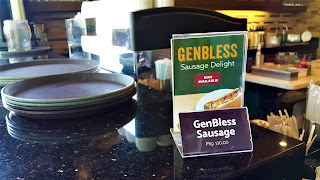 Well, if I am to choose their best items, I'd still go for this sausage. 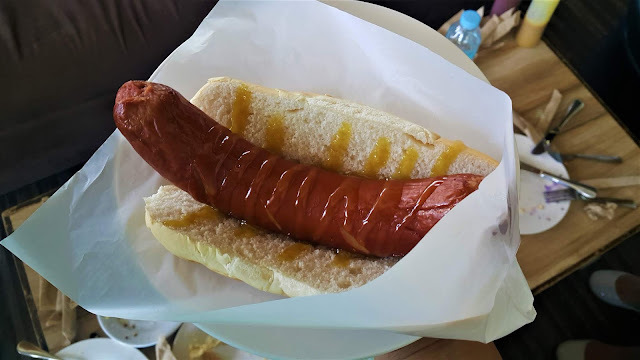 It has that strong chewy texture that I like in terms of sausage and tastes wise, I know it's not just something you buy at the supermarket, it's premium. 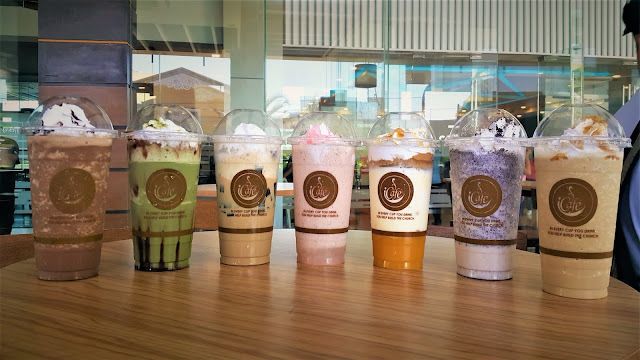 Looking at their drinks, you'll eventually notice how aesthetic their presentation is and how they manage to cater to the interest of the youth by providing Instagram-worthy drinks that people would love. Also, to start you right, I highly suggest that you request your drink at 50% sugar level if you aren't that much a fan of sweet drinks. 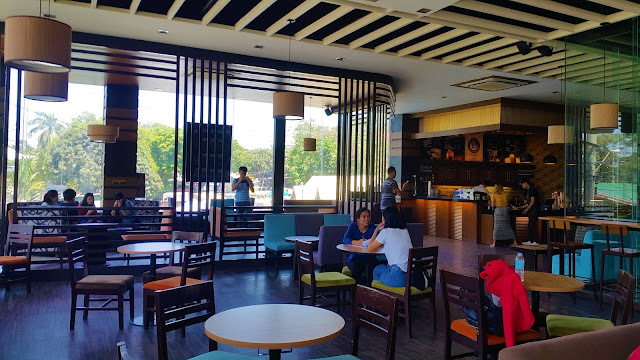 We also tried their breve coffee that's keto friendly is at (150 pesos). The only sweetener for this coffee is the mousse. 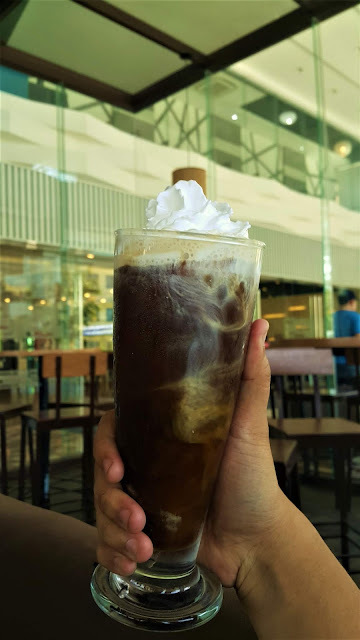 I also enjoyed the fact their ice americano style is at (85 pesos) only and it's not so acidic. I am a fan of Americano and I can easily determine the good beans. 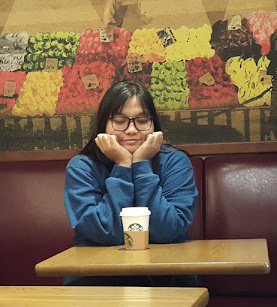 I tried their three shot Americano and eventually loved it! It's not as strong as most people think so you won't palpitate.